Journalist Yair Lapid is leaving Channel 2 News in order to enter politics, Yedioth Ahronoth learned Sunday. The move is expected to shock the Israeli political scene. Lapid informed Channel 2 CEO Avi Weiss of his desire to stop hosting Friday night news magazine "Ulpan Shishi". Lapid has been hosting "Ulpan Shishi" for the past four years. Rumors of his intention to run for Knesset in the upcoming elections have surfaced once and again in the past year. Although his name has been linked with the centrist Kadima party, it's unclear which movement he plans to run with. Lapid thanked Weiss and "Ulpan Shishi" editor Golan Yochpaz for their "professional and personal trust in the past four years," as well as the show's editors, writers, commentators and crew. Weiss expressed his regret over Lapid's decision to leave Channel 2 News, but said he understood the move. He noted that "Ulpan Shishi" gained a lot of popularity among the Israeli public when it was hosted by Lapid, reaching impressive professional achievements. Lapid expressed his hope that his decision to leave "Ulpan Shishi" would curb the current wave of Knesset legislation aimed at introducing a cooling-off period for journalists interested in pursuing a political career. He referred to the legislation as "a disgraceful and anti-democratic law." Yair Lapid is the son of late Minister Yosef (Tommy) Lapid, leader of the Shinui party, and novelist and playwright Shulamit Lapid. He hosted several television talk shows and wrote columns for the Yedioth Ahronoth and Maariv dailies. 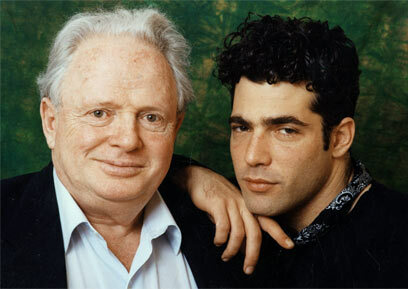 Lapid also composed songs, wrote 11 books and acted in two Israeli films. Shortly after the announcement, members of the political echelon commented on Lapid's decision to enter politics, Opposition chairwoman Tzipi Livni (Kadima), whose party would face competition if Lapid ends up running at the helm of another party, issued a short statement saying: "Like we've said in the past, we congratulate any person who wishes to enter the political life in Israel and contribute to the state." Asked whether Lapid's announcement marks the beginning of an election year, Prime Minister Benjamin Netanyahu simply replied "No," adding that even the Kadima party estimates that elections won't be held before 2012 and therefore Lapid "might wear off. "Until elections are not declared, you don’t really exist. You roam around the country looking for voters, but you can wear off. A political figure is like a start up: You need to maintain the status until the very last minute," he said. Labor Chairwoman Shelly Yachimovich noted that "Yair Lapid is a man with many qualities, who will bring his personal capabilities to the public arena. However, she also noted that "Lapid, along with Livni and Netanyahu represent social values that are in complete opposition with those of the Labor party, which has strong and clear social democratic values." MK Binyamin Ben-Eliezer told Ynet, "Lapid's entry into politics is going to anchor Netanyahu's position as a prime minister." "It's still unclear what Lapid is going to offer, but he will bring about many medium-sized parties – everyone will have 15 mandates," Ben-Eliezer estimated, adding that "these parties will face a large Likud party with Lieberman, which will always win." The former Labor chairman congratulated Lapid, saying: "If his arrival will wake up dormant politicians, it's a blessing." Meanwhile, Minister of Religious Services Yakov Margi (Shas) disregarded the announcement, saying: "Who needs Lapid? We have Lieberman. They are the same thing. Both are running on the same platform." MK Nissim Zeev added that "with the latest trend of haredi bashing and de-legitimization in the past few weeks, it was clear that such a monster – which is fueled by hatred of Judaism – will be created as the 'second edition' of Tommy Lapid. There is no surprise here. "Some people feed off this hatred, and therefore I hope he fails big time," he said, adding that "in any case, Lapid does not threaten us. Those who should be worried are Kadima, Meretz and Yisrael Beiteinu. He will only take votes away from them." See all talkbacks "Yair Lapid to enter politics "